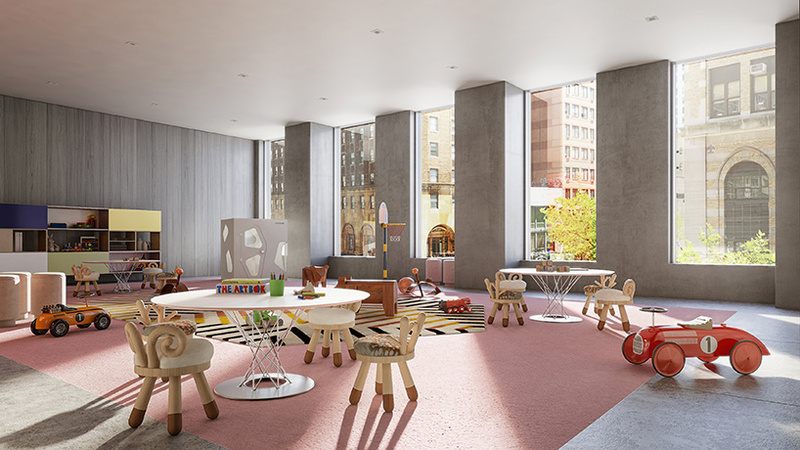 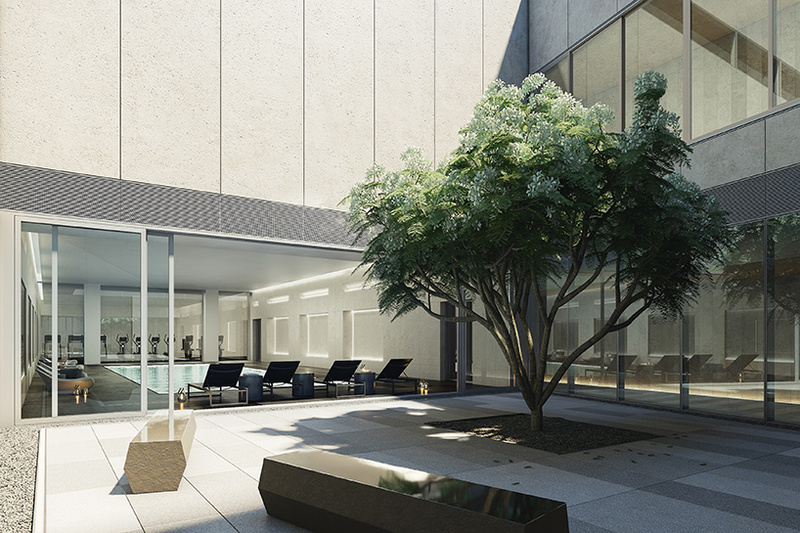 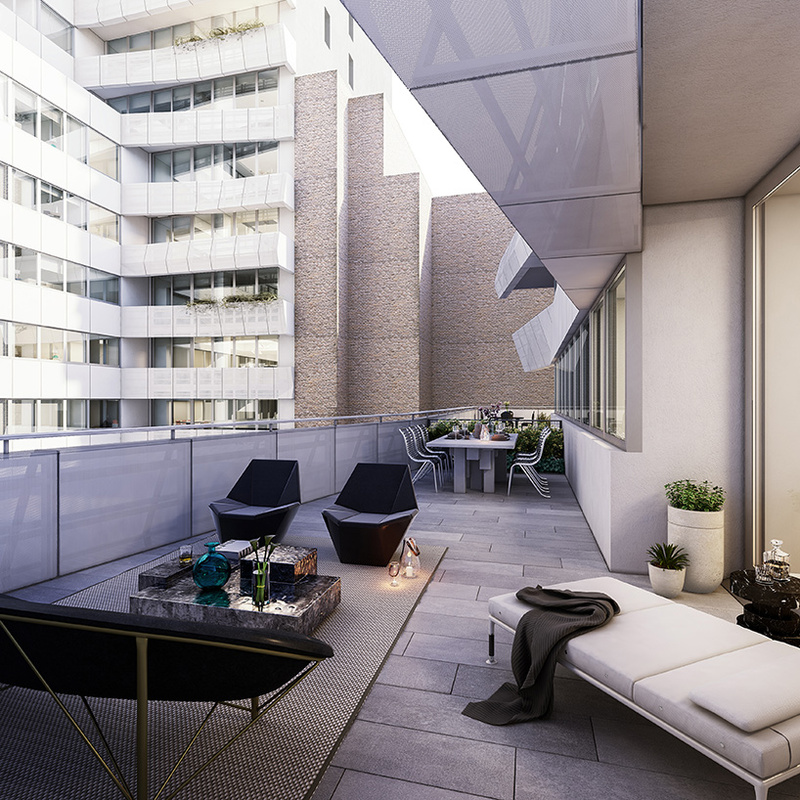 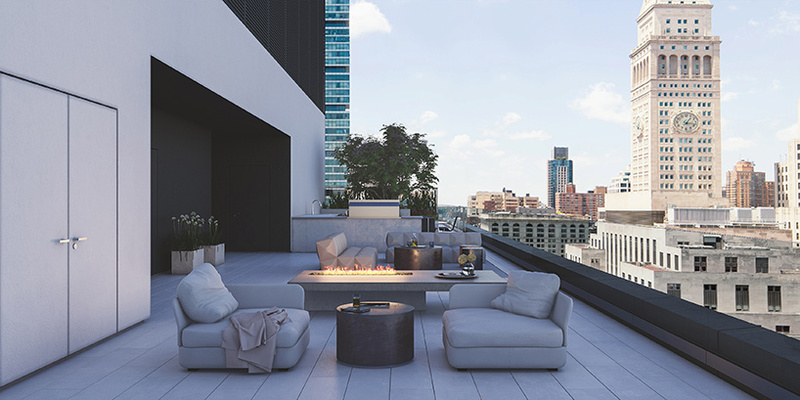 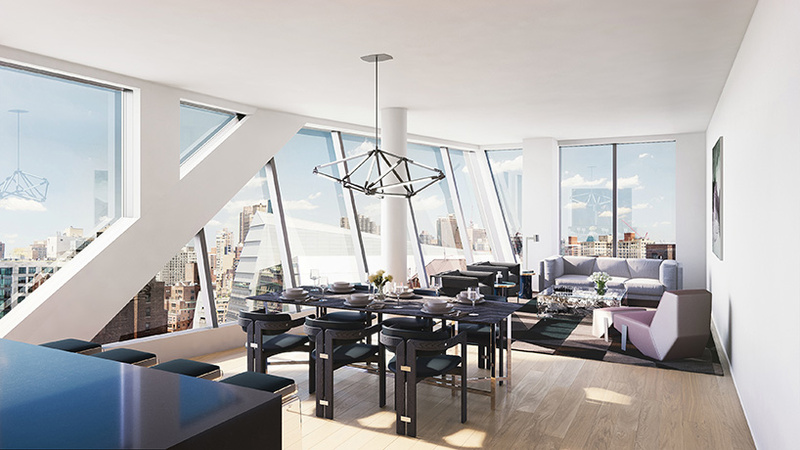 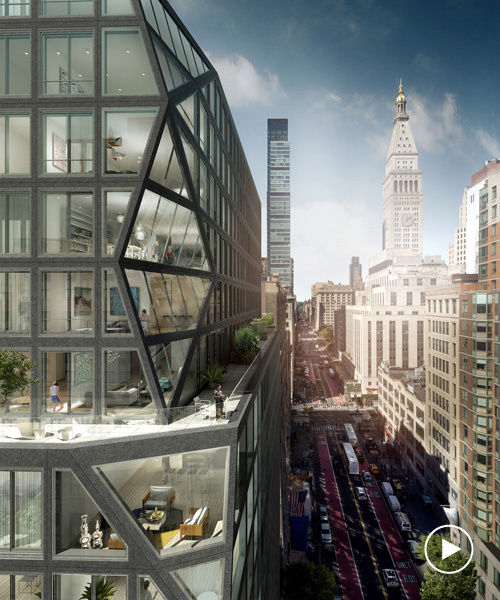 ‘121 east 22nd street’ is OMA’s first residential tower in new york. 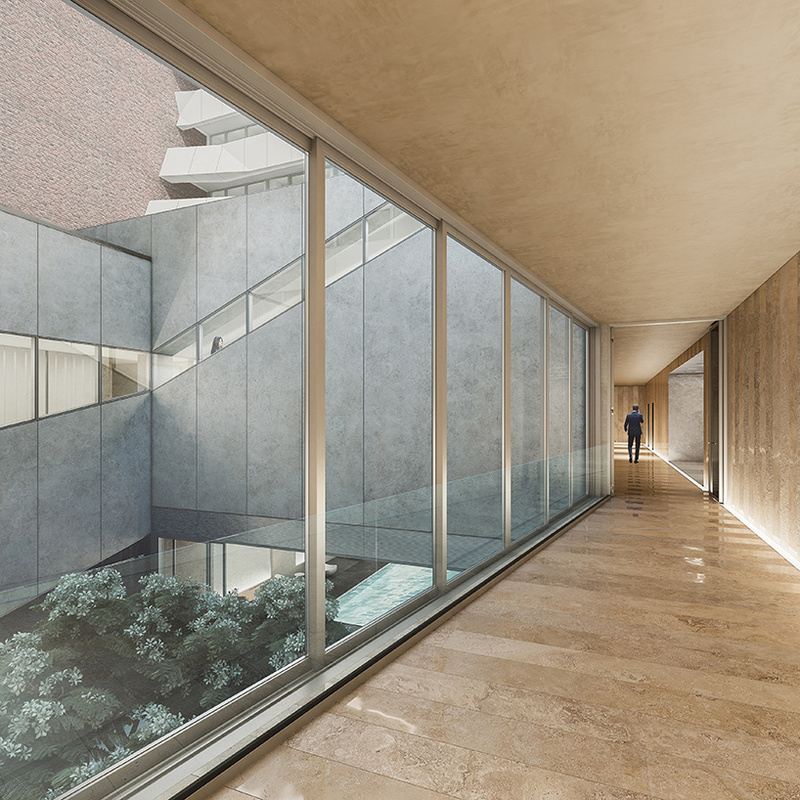 the design, led by OMA partner shohei shigematsu, seeks to provide an intuitive resolution to the challenge of creating a luxury residential high-rise in a bustling location. 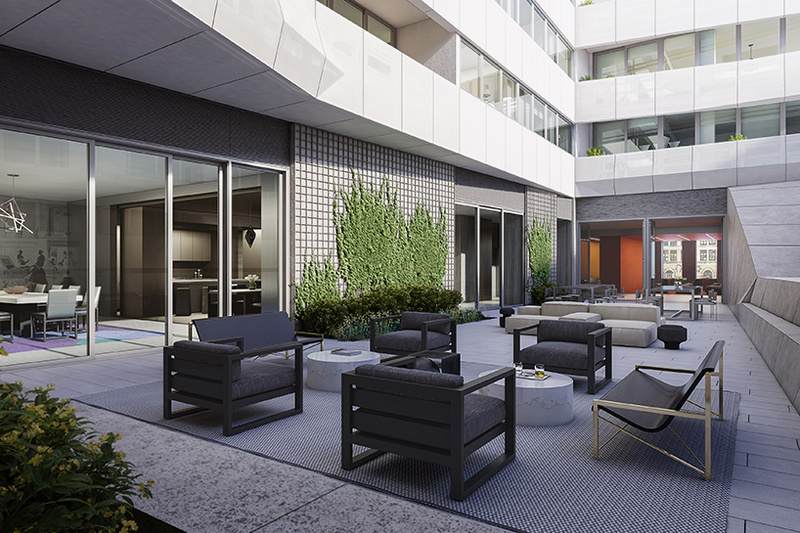 as of june 2018, the 18-story, 140 unit residence has topped out, while the façade is nearly complete. 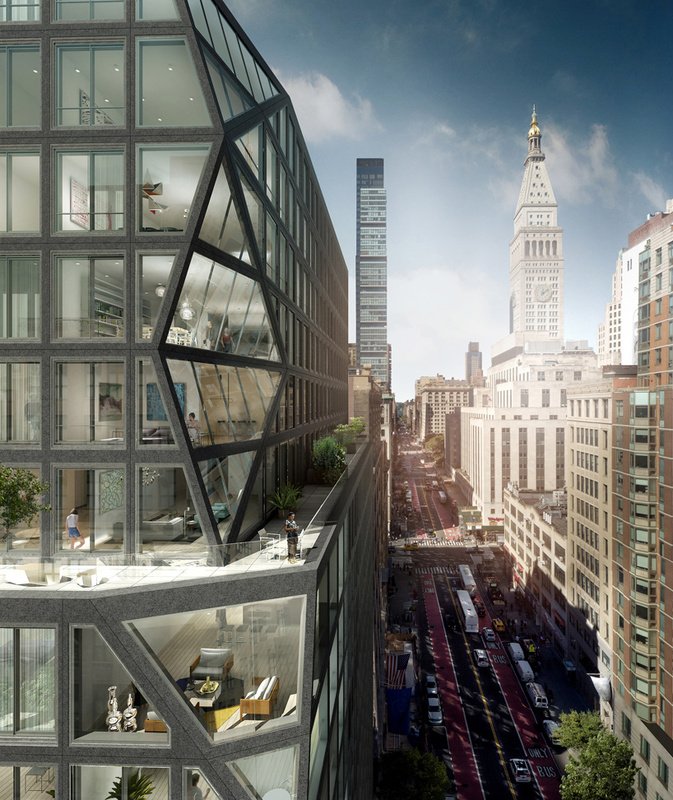 the building’s external form and internal organization are a deliberate reaction to its immediate context — defined by a ‘prismatic corner’ of glass that contrasts with the rest of the building’s more conventional window layout. 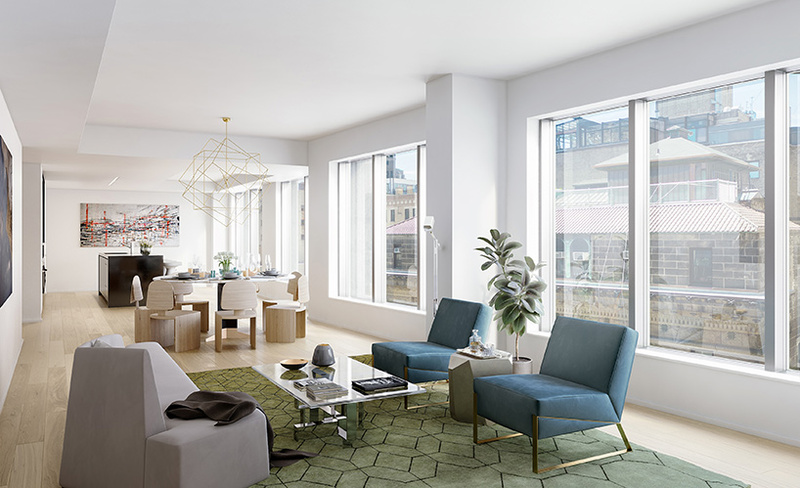 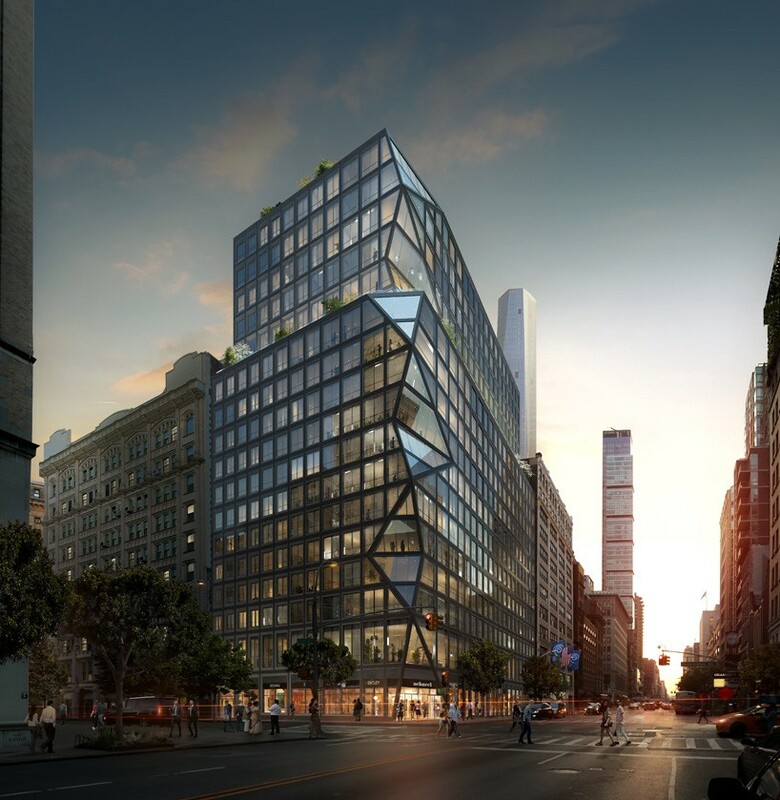 this feature reflects a cubist collage of the multiple and diverse neighborhoods in which the scheme is located, at the intersection between gramercy park and madison square. 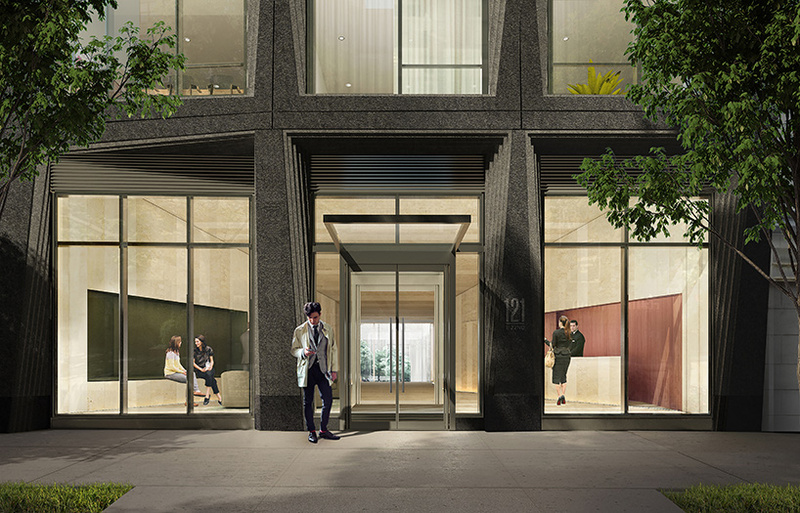 ‘the design of the 140-unit residential block was driven by the duality of its context,’ explains shohei shigematsu, partner at OMA.‘punched windows echoing the façade of its pre-war neighbors seamlessly transition to contemporary, floor-to-ceiling glazed windows towards the corner, forming a gradient from historic to modern.’ ‘121 east 22nd street’ has been commissioned by development firm toll brothers city living.